This is the 1.75" x 3" NARFE Blue Chapter MEMBER Badge. If you would like to order a Chapter OFFICER Badge, please CLICK HERE. 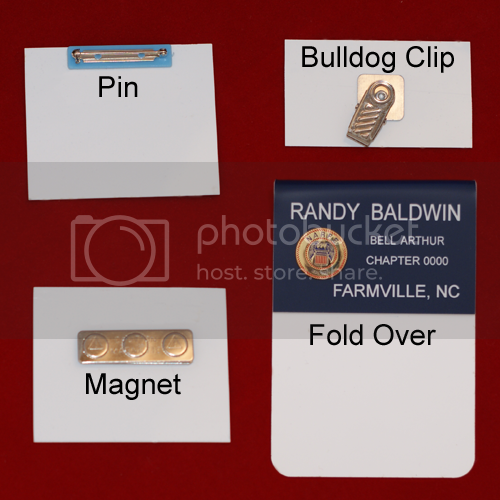 Ordering multiple Chapter Member badges is easy. Simply customize the first badge, click Add To Cart And Add Another, and repeat the process. If you would like to order a different badge type, select Badges in the menu bar and then select the picture of the appropriate badge type.